Clot Accelerator tubes contain spray coated silicon and micronized silica particles to accelerate clotting within 5-7 minutes. Gently invert the tube180° 8-10 times. After coagulation, Centrifuge at 2000-3000 rpm for 10 min. at room temperature. 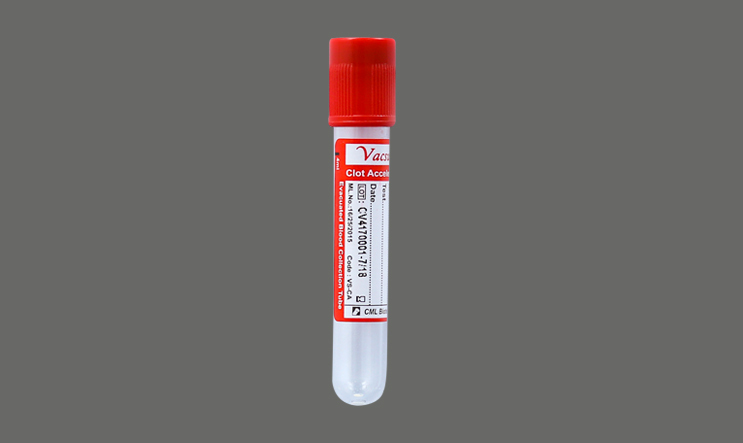 Mainly used for Biochemistry, Immunology and serology tests. ABO typing, Antibody screening, Antigen typing, RF, IM, RPR, ASO, CRP, HIV, HBsAg, HCV etc.